Ahead of SIHH 2015, Panerai has announced that they will debut their P.9100 chronograph movement, which is currently available in a gold or steel case, in a black ceramic Luminor 1950 case. The 44 diameter case is made of zirconium oxide (ceramic) and features a bead blasted matte black finish. The pushers are on the left side and the crown, protected by a large crown protector, is on the right side of the case. 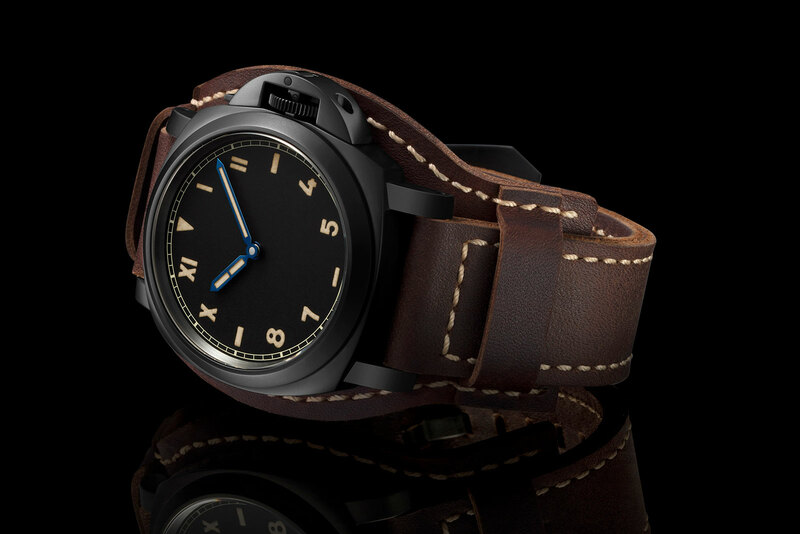 The dial, which features a domed sapphire crystal, is black with a sandwich construction. The hour markers, small subsidiary dial (at 9 o’clock) and the hour and minute hands have an ivory colored lume that is made to have a vintage look. 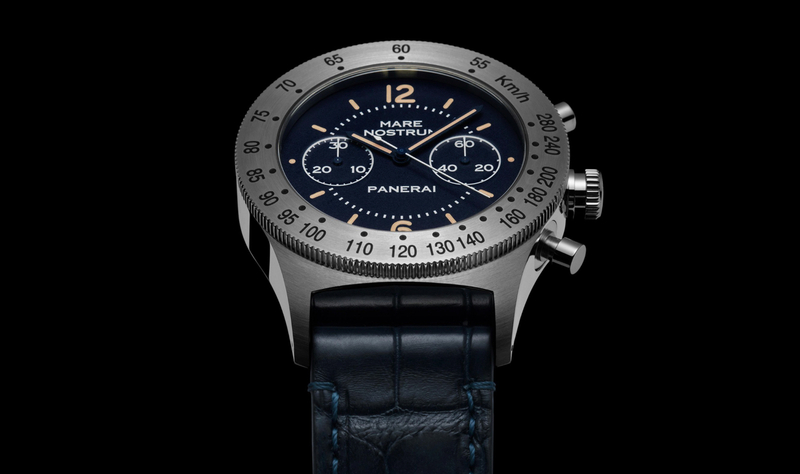 The chronograph has a unique configuration in which the blue central hand counts elapsed seconds, and the rhodium plated central hand counts elapsed minutes. Another notable feature is that the chronograph minutes hand is of the jumping variety, so instead of moving forward in incremental steps, it jumps precisely every 60-seconds. Moreover, this is a flyback chronograph, so the pusher at 10 ‘clock control start/stop functions and the pusher at 8 o’clock control flyback/reset functions. Technically speaking, the caliber P.9100 is an automatic chronograph movement with 302 total components (37 jewels). Two mainspring barrels, in series, provide a 3-day power reserve (72-hours). The chronograph is controlled by a column wheel with the vertical clutch. The free sprung Glucydur© balance wheel oscillates at a rate of 4Hz and is protected by an Incabloc® anti-shock device. The skeletonized rotor is bidirectional. 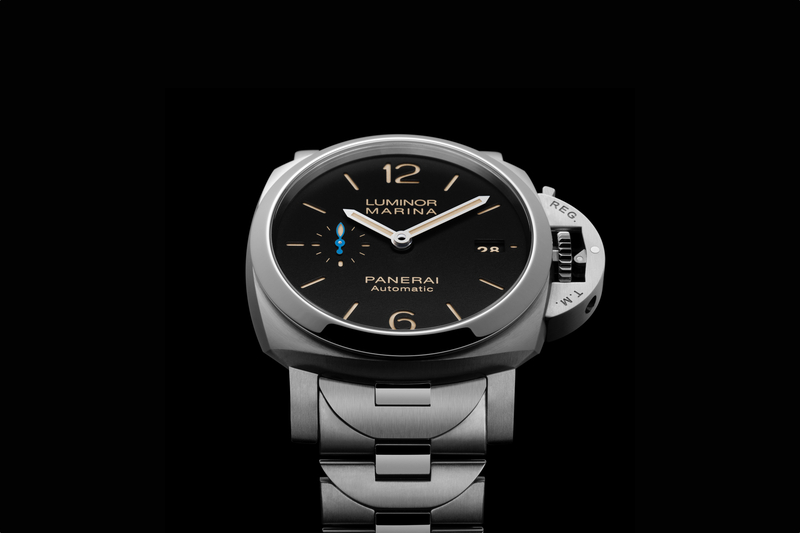 The movement is visible through the caseback via a tinted sapphire glass (something Panerai does on Ceramic watches). 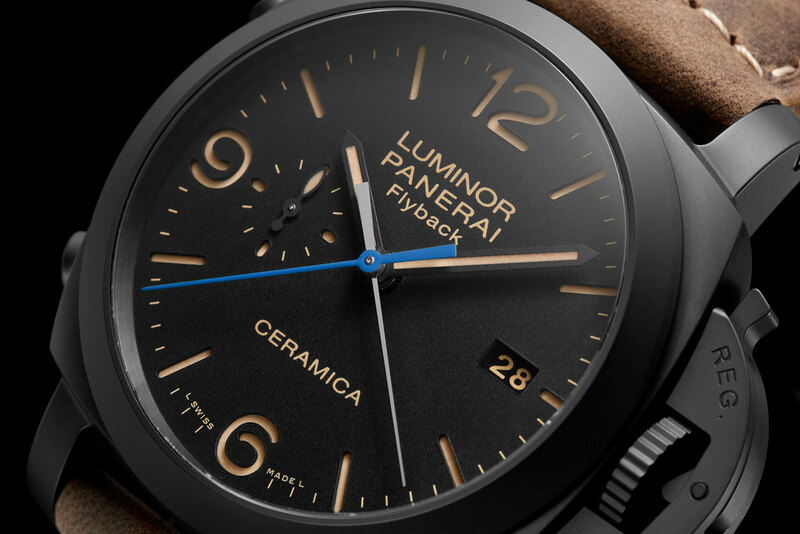 The Luminor 1950 3 Days Chrono Flyback Automatic Ceramica (PAM00580) is supplied with a natural untreated leather strap and a second strap made of rubber. The buckle is in titanium, a light, strong, hypo-allergenic material to which a special resistant black coating has been applied so that it matches the appearance of the watch, and it is easily replaceable using the screwdriver supplied. Water-resistance is 100 meters. Should a watch company be allowed to sell a watch with an ETA movement for five figures?